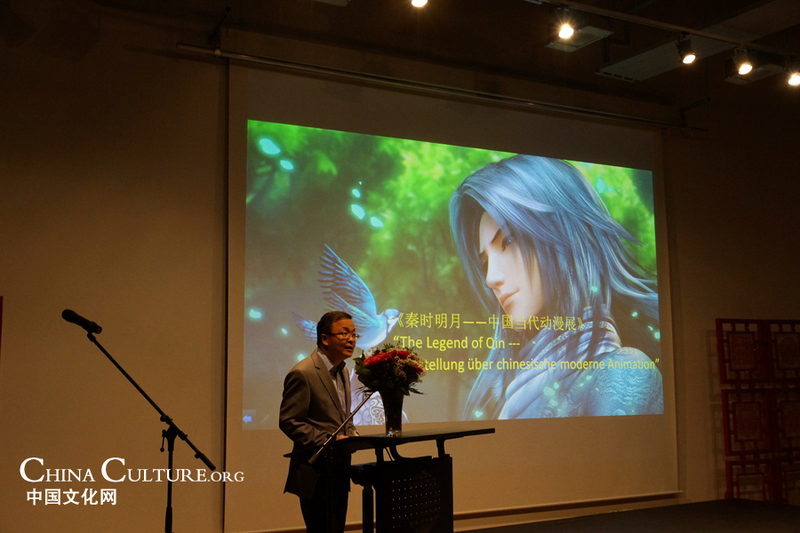 Hosted by the Berlin China Cultural Center and the Shanghai Municipal Administration of Culture, Radio, Film&TV, The Legend of Qin - Chinese Modern Animation exhibition kicked off in Berlin on Aug 17. The exhibition showed original paintings and more than 40 examples of computer graphics from the 3D movie The Legend of Qin, including props, characters and models, which record of the creative process. With the unique Chinese style both in the original paintings and the computer graphics, The Legend of Qin became the masterpiece in the domestic animation industry. In his speech, the director of the Berlin China Cultural Center, Chen Jianyang thanked the Chinese animation team for coming to the opening ceremony in his speech. 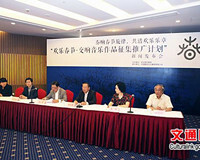 He said that China's animation industry is still in the early stage of development, despite rapid growth in recent years. The Chinese animation industry had an output value of about 87.1 billion yuan in 2013, equal to more than 10 billion Euros. In 2014, the Chinese animation industry’s output value is expected to reach 100 billion yuan, or about 12.1 billion Euros. According to the statistics, China has more than 4,600 Chinese animation companies and 220,000 employees. In recent years, many outstanding animations emerged in China, such as Pleasant Goat and Big Big Wolf, Boonie Bears and The Legend of Qin which can compete with successful foreign animations.